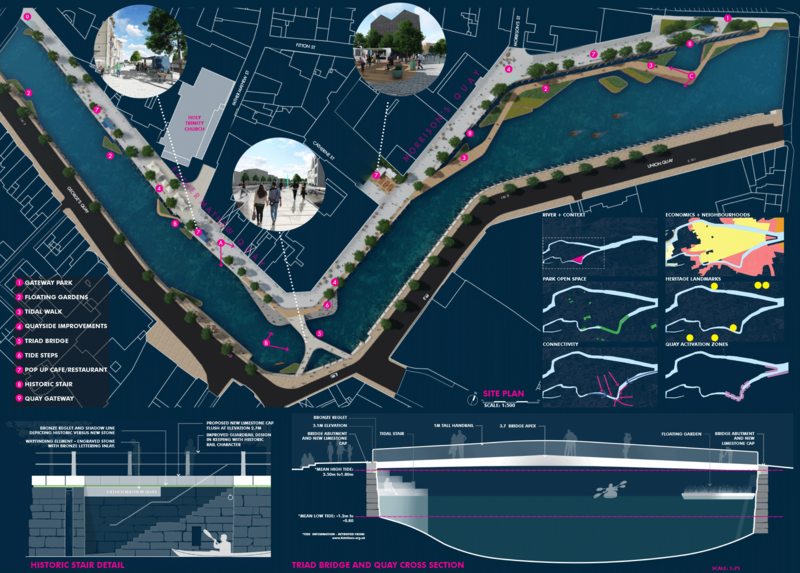 CRJA-IBI Group participated in an international design competition to propose innovative solutions for the renewal of Cork city’s quayside landscape. Our design concept, inspired by the ever changing nature of the river, extends a dynamic approach to the urban fabric surrounding the quays, creating a destination where people can meet, explore, and fulfill an innate desire to be up close with the water. The three pillars of this approach are to Revive, Reveal and Restore. 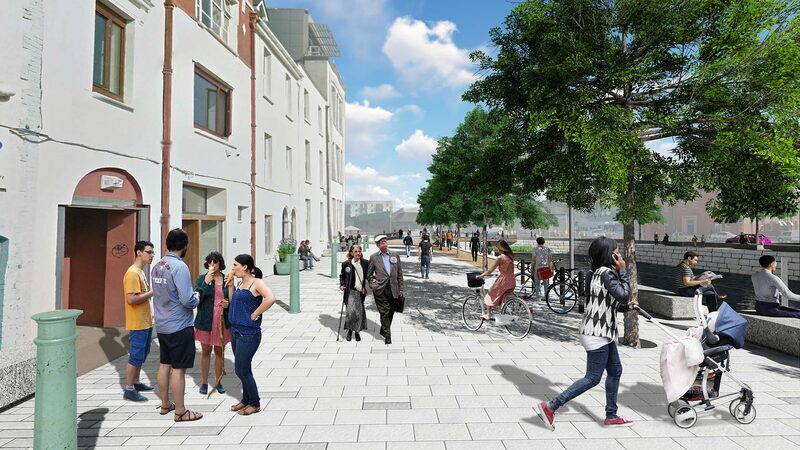 To aid in Reviving the Lee, our approach aims to ceate and craft a destination by breathing life into the City Centre. 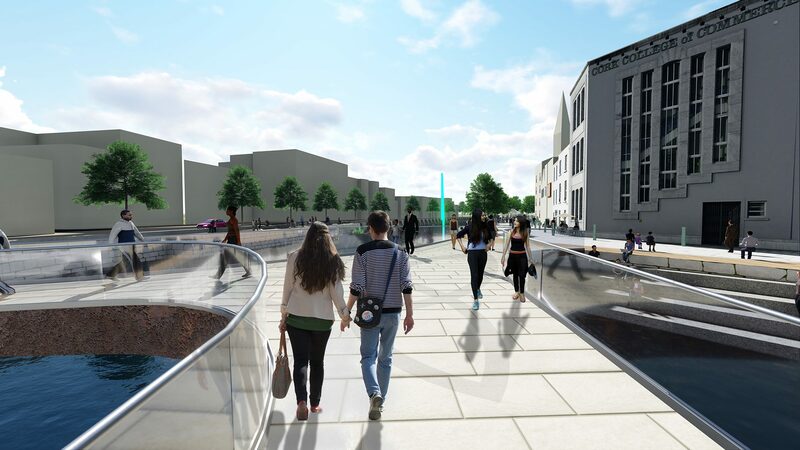 The success of this project can serve as a catalyst for change along the Cork waterfront. 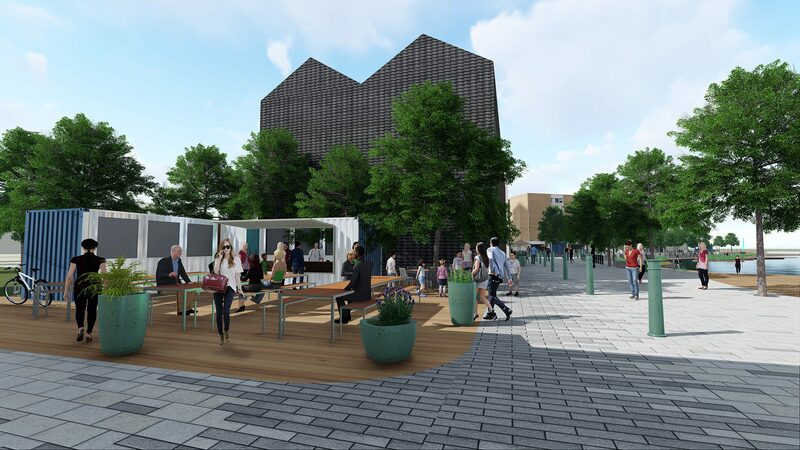 By promoting short term tactical and modular along the quay, visitors will be enticed to explore the quay during their lunch, evenings or return on the weekends. 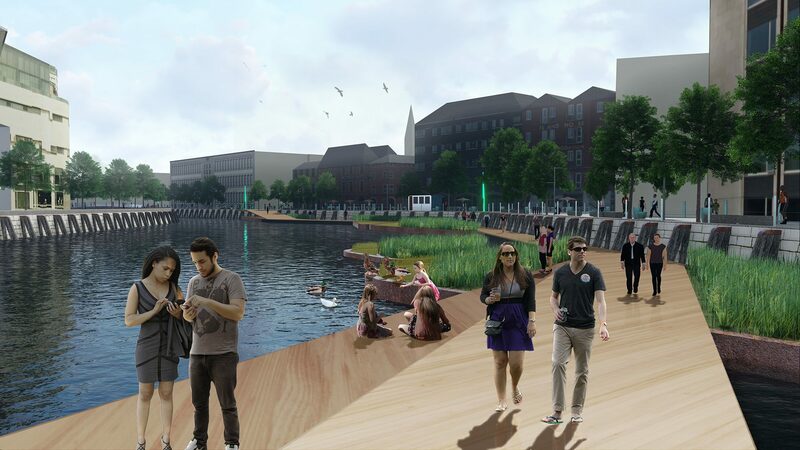 In addition to supporting overall pedestrian connections along the Lee, these approaches may include thoughtful programming ideas such as pop up cafes and restaurants, engaging the music school for small scale music festivals and promoting floral/horticultural events in a newly designed “Floating Gardens” system. 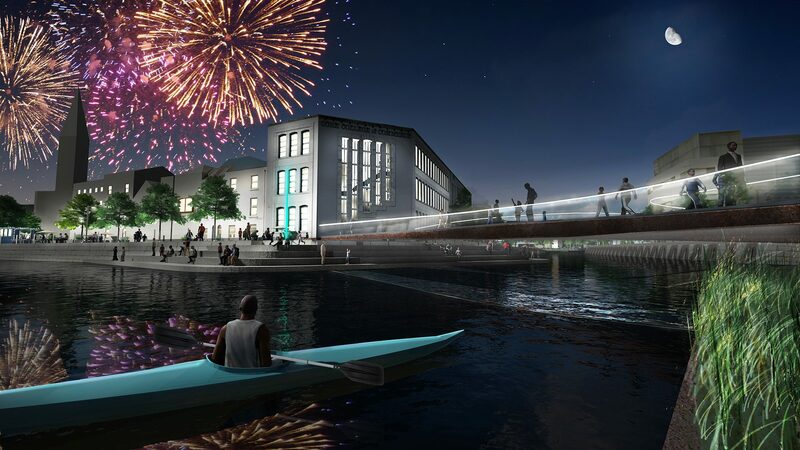 These revived quays could also serve as a destination along the existing Festival Cork circuit. The tidal nature of the Lee dramatically alters how it is perceived throughout the day. Our design, in an effort to Reveal and Restore the Lee, offers visitors multiple ways to engage and interact with the river including generous seat steps leading down to the river by the new bridge and a Floating Gardens system, which is composed of floating walkways through a series of gardens with native Cork plants. The Floating Gardens, which pay homage to the historic marsh landscape of Cork, also enable visitors to observe the historic character of the quay walls and signature details such as the wooden wailers. The walkway, which floats with the daily tide, frames views of of the historic limestone stairs. The Triad Bridge concept derives its form from the river itself and the natural motion of pedestrian movement from the City Centre to the southern neighborhoods. The form represents the coming together of the north and south Lee as it heads for the sea. The bridge form also makes a gesture towards the ubiquitous ancient triquetra symbols used throughout the ancient world and particularly in Ireland. The shape and orientation allows people to easily enter from the south and north and congregate at its Centre point.